Fri., Nov. 24, 2017, 8:19 p.m.
SALT LAKE CITY – David Collette scored a season-high 24 points on 11-of-12 shooting from the field to help Utah sprint away for an 85-69 nonconference men’s basketball victory over Eastern Washington on Friday night. Sedrick Barefield added 12 points and Donnie Tillman chipped in 10 for the Utes. Utah (5-1) has not lost to a Big Sky opponent since the 2012-13 season. Bogdan Bliznyuk scored 17 points, while Jacob Davison added 15 to lead the Eagles. 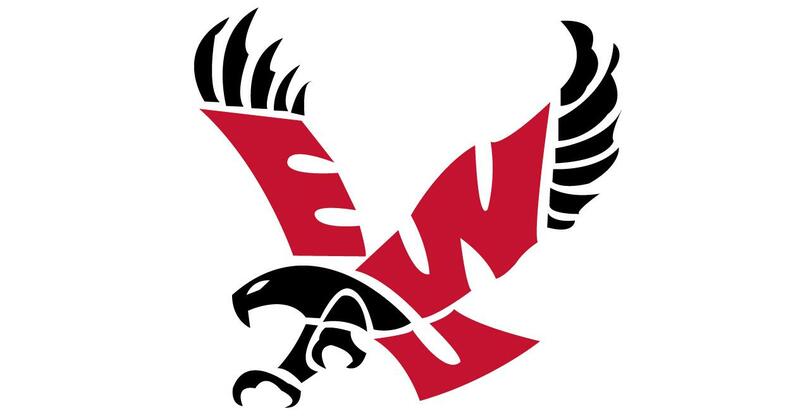 Eastern Washington (3-4) is in the midst of 10 consecutive road games to open the season. The Eagles don’t play at home against until Dec. 17 against Cal State Northridge. It didn’t take Collette much time to find a rhythm. The senior forward totaled 18 points before halftime while going 8 of 9 from the field. His previous season high was 17 points against Missouri and he posted his highest single-game point total since transferring to Utah from Utah State. With Collette doing damage around the basket, Utah had no trouble pulling away early from Eastern Washington. The Eagles took a 4-2 lead on a a jumper from Bliznyuk and tied it at 11 on two free throws from Bliznyuk. That’s as close as Eastern Washington got. Utah held the Eagles without a basket for a 3 1/2-minute stretch while mounting a 12-2 run. Donnie Tillman capped the run with a three-point play to give the Utes a 23-13 lead. A few minutes later, Utah scored on six consecutive possessions to create a bigger cushion. Collette got things going for the Utes with a pair of free throws and back-to-back baskets. Tyler Rawson hit a pair of 3-pointers, sandwiched around a slashing layup from Parker Van Dyke, to cap off the run. It helped Utah build a 37-17 lead with 5:20 remaining before halftime. The Utes led by as many as 33 points in the second half, taking a 67-34 lead on a 3-pointer from Justin Bibbins with 14:07 remaining. Utah’s size down low and lethal perimeter shooting hurt the Eagles. Eastern Washington fared well against previous Pac-12 opponents, upsetting Stanford and giving Washington a scare. The Utes were a different story. They dominated on the glass and found easy baskets for the bulk of 40 minutes. Eastern Washington travels to Seattle on Dec. 3. Published: Nov. 24, 2017, 8:19 p.m.